Herringbone tweed cosmetic make up bag. 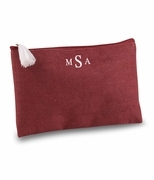 Sophistication and elegance come in a small bag that can be used as a pouch, a make-up bag, a holder for pens and pencils or a safe place to store your electronic flash drives, cables and computer accessories. The neutral palette makes it ideal to mix and match with a larger bag of any color and the herringbone pattern is both timeless and classic. A simple design with a single compartment and a zipper along the top makes for easy access. The pouch is reinforced with a leather-look panel at the base. 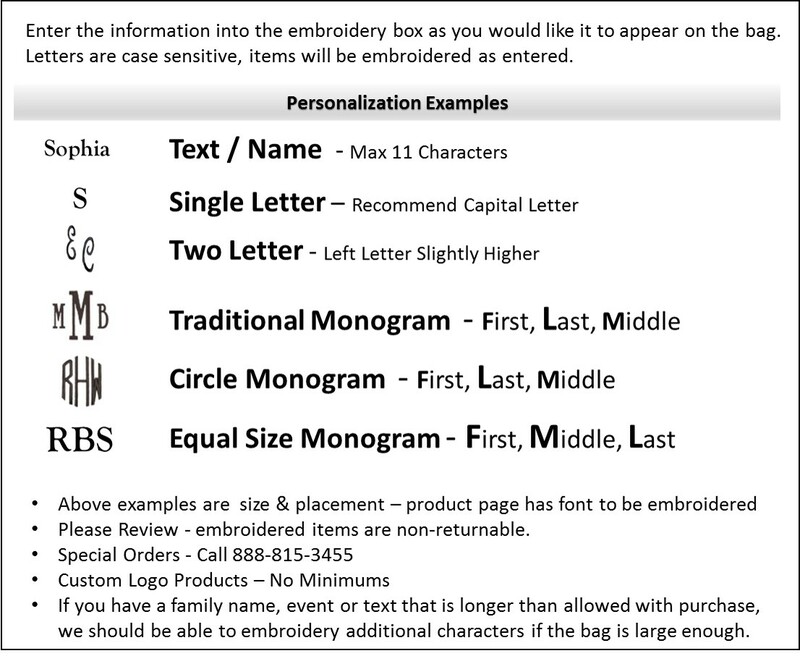 Add your personal initials for a stylish look. Matching accessory pieces include travel tote search item MSC-CDBK1809 or overnight duffle bag search item MSC-DBBK1815. 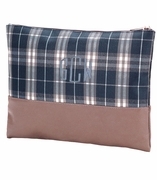 Herringbone cosmetic make up bag measures 13"W x 11"H with lining and zipper closure.